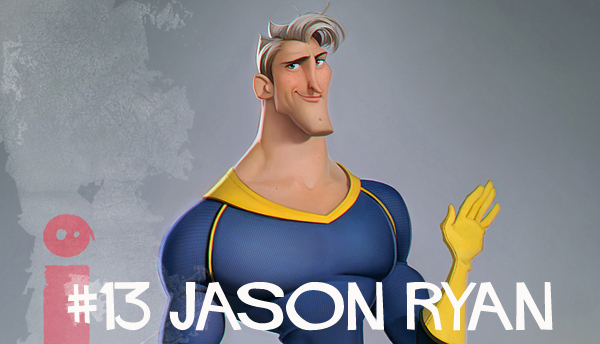 Welcome to Episode 13 of Flipped with CG animation director, animator and teacher, Jason Ryan. Jason is a multi-talented Irish animator whose career has spanned the last 20 years on such films as Fantasia 2000, Chicken Little, Meet the Robinsons, Kung Fu Panda 2, The Croods and most recently Big Hero Six (to name a few). Alongside to his film work Jason also teaches animation online through his own site and iAnimate which I can personally recommend as a great way to learn character animation and productive workflow through traditionally-based methods, mentor-supported training sessions and clearly explained online tutorials. If you would like to know more please check out the links below. iAnimate - Advanced Character Animation Training from iAnimate on Vimeo. Really huge thanks to Jason for taking the time to talk to us and thanks to Gareth Lee at Animation Skillnet for helping facilitate the interview.